This post is centered around a phone interview that I did with John Caputo about the issue of hyperrealism. Click "phone interview" to get the MP3. The question that I open asking references his book, The Weakness of God: A Theology of the Event, and is specifically about this passage. I compare how Caputo uses the term to the more common usage that Jean Baudrillard uses. The "Richard" I reference in the interview is Richard Kearney of Boston College, and the book being referenced is his Anatheism, the official site of which is here, and a good (independent) engagement of which is here. A series of conversations between Caputo and Kearney are archived here from the 2007 Emergent Village Philosophical-Theological Conversation. 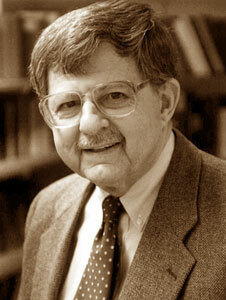 A series of recordings of lectures from Caputo are found here. Tripp Fuller's Homebrewed Christianity interview with him is here, and the recent interview I did with him is here. Relatedly, Caputo asked that I try to promote the Call for Papers for an upcoming conference he is co-hosting around the future of philosophical thought. He is particularly interested in younger voices being present, so lets send him a whole host of interesting things to read!